Trevase Granary offers luxury self catering holiday cottage accommodation for sixteen in a restored barn near Ross-on-Wye in Herefordshire. It is especially suitable for group holidays, family renunions and corporate use. 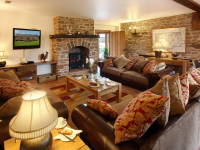 Penblaith Barn is a 5-Star Gold luxury self-catering holiday cottage in South Herefordshire with eight bedrooms sleeping up to eighteen guests. Like Trevase Granary, it is a traditional stone barn conversion that combines 18th century character with 21st century luxury and style. 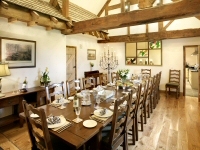 Both offer an ideal large venue for family gatherings, reunions and group holidays.